It’s a constant battle between living up to the beauty standards of a harsh society or willingly loving yourself while ignoring popular opinion. It’s not easy to walk out into the world with zero insecurities - but it’s not impossible. We are all different in many ways, and so striving to look like another person will warrant unnecessary expectations. You’re unique - that’s what is beautiful about you. 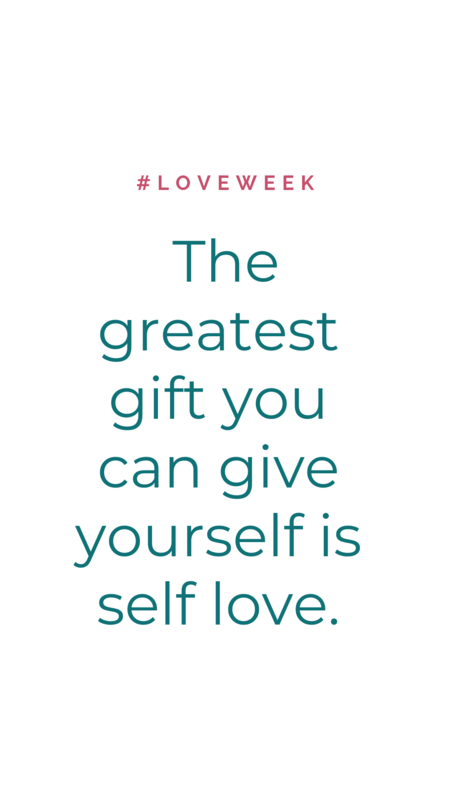 In this blog post, we talk about the importance of self-love and a few ways you can get started today! Human interaction is a great form of communication, the way we portray ourselves says a lot about us as individuals. Words not only have the power to lift people up, it can also tear people down. What we forget is that, sometimes, we are our worst critic. There are simple things we do that are forms of self-abuse - from judging our insecurities to underestimating our worth based on physical appearances. Have you ever looked at a picture on social media and wished you had someone else’s hair or skin? Have you ever thought you’re not pretty enough? Have you made a comment demeaning yourself? We are so blinded by achieving an unattainable form of beauty while we undermine our own potential. Pro tip: The next time you make a negative comment about yourself, take a step back and focus on your positive attributes. As a fun quirk, make a positive comment about yourself once a day - boost your self confidence. Compliments and ‘likes’ have taken over and we deem our worth based on incoming notifications. Understanding that we are human with flaws that exude our inner beauty will go a long way when it comes to self-love and self-care. Has someone ever made a negative comment on your appearance? Have you tried to alter your appearance to look like someone you thought was pretty? Have you stopped for a minute and thought about why you do that? We are taught to look up to impossible standards and although we were moulded into this whirl of ‘perfect beauty’, we can still be proud of unique beauty. Take a look around you - we are all made in different shapes and sizes, let’s do ourselves a favour shall we? Instead of judging ourselves and putting airbrushed images on pedestals, let’s live healthy. Taking care of yourself has a lot to do with self-esteem. For example, when you see how your skin and hair responds to a care routine and self-love, your confidence heightens. Pro tip: Try to not look your Instagram likes and compare them with your friend’s likes. Take a social media break or go on it less often. Don’t hold importance to words said by people who don’t know you. Eliminate toxic relationships and habits from your life at the earliest. Self-doubt is an umbrella term for many negative behaviours that young adults exhibit during vulnerable times. In the generation of celebrity idols and size 00 clothes, we deem most of our traits negative because we believe that it doesn’t meet popular standards. There are no gender boundaries to insecurities though, women worry about not having a flat tummy and skin scars, while men worry about not being muscular and hair loss. You do not have to change yourself for anyone’s acceptance. The influence of the social world both online and offline has marked a spot for the ‘now’ generation that the next generations are set to follow - it’s a vicious cycle. Pro tip: If you are worried about your weight - start a workout plan. If you’re worried about hair loss - see a doctor. There are solutions to your physical concerns but there should be no room for self-loathing. Never stop working on yourself! Loving yourself means accepting your flaws and not ignoring your health. Remedico is a dermatology service that offers you a treatment plan that is personalised for you but most importantly we want to spread positivity when it comes to skin and hair care. There is a difference between wanting to change your skin colour versus treating your acne. While dermatological conditions such as acne require treatment, having a hesitant nature to a darker skin tone is a product of impractical beauty expectations. It’s Cupid’s day, and along with flowers and chocolate, most of us have our minds on how we are going to look. As a company, we stand by a strong belief that beauty has no bounds. Insecurities have a way of instilling low self-esteem which young adults suffer from - both men and women. Insecurities stem from a lot of experiences but let’s talk about skin and hair concerns. Having bad skin or hair fall can affect an individual mentally. The embarrassment, the bullying and the impossible beauty idols have made it a daunting task to appreciate natural beauty. Many of us don’t want to consider loving ourselves for who we are. We’d rather love ourselves when we lose the weight, have ‘perfect skin’, or get a flatter tummy. Instead of putting conditions on our love, let’s focus on how we can change for ourselves. A lot of negative thoughts stem from unattainable aspects of beauty, let’s keep them positive starting this Valentines Day. Empowered people, empower people - love yourself with no expectations.